Cave Camp is an exciting event focused on two weeks of cave and cavern diving activity in Tulum, Mexico. Following the success of the first 2 events, Cave Camp will be back for a third edition in 2018 – bigger, better and with some great new activities. Cave Camp 2018 will run between 8-22 September. 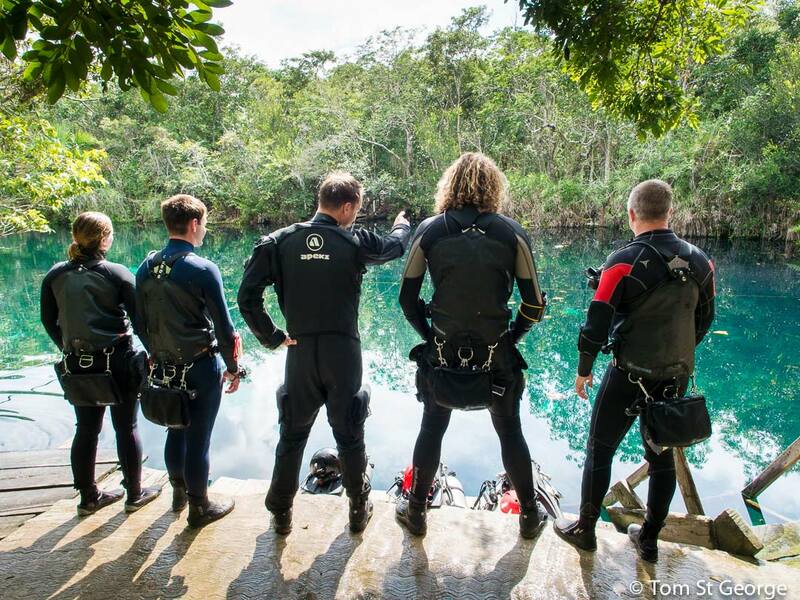 It’s a unique event that aims to inspire the next generation of cave divers through direct contact with leading cave instructors and explorers. Whether you’re completely new to cave diving or a seasoned explorer, Cave Camp is for you! 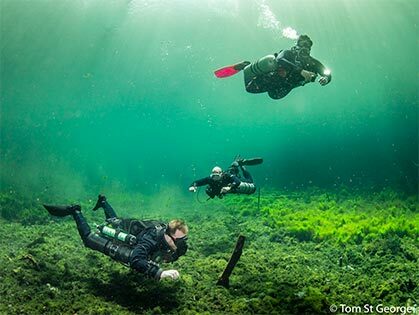 There will be a packed schedule of fascinating presentations and workshops plus the opportunity to ‘try dive’ some cool cave diving equipment including scooters and closed circuit rebreathers. You can participate in a range of cave and cavern-related diving activities including cave diver training to all levels with the option of guided cavern and cave diving. You’ll also get to socialise with like-minded divers and instructors at a series of fun evening events. Check out the Cave Camp Website for full details. To go beyond the daylight zone, you need to take a cave course! Most agencies split their cave diver training programmes into two distinct courses – introductory cave diver and full cave diver, or Cave 1 and Cave 2. 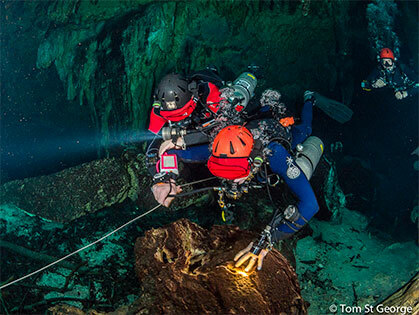 The Introductory Cave Diver introduces the diver to self sufficiency skills utilizing isolation manifold twin sets and dual outlet cylinders, line following, line laying and emergency procedures. 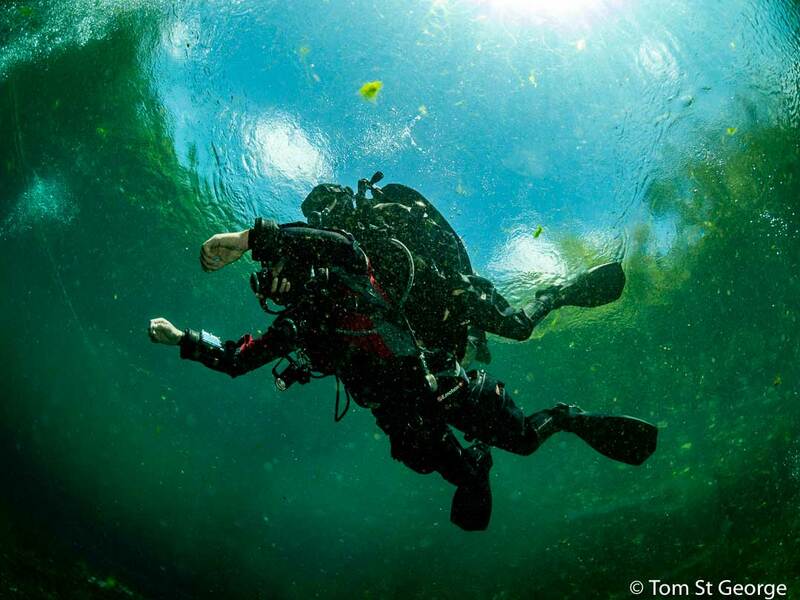 The Full Cave Diver course builds upon this with the introduction of complex navigation and more advanced skills. Guided Cave and Cavern diving is available throughout Cave Camp. 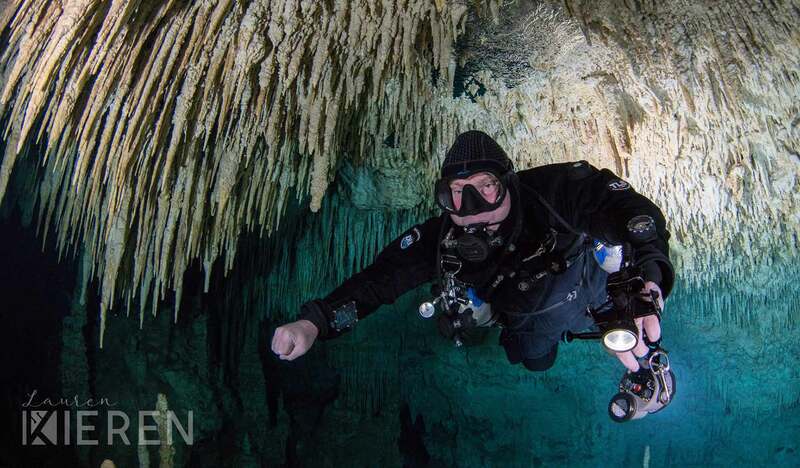 If you are a qualified cave diver and want to experience some of the classic dives or some of the lesser known cave systems in Mexico, then our hand-picked team of guides can take you there. For those not yet cave-trained, then a cavern tour can let you experience the best of the overhead in a safe and controlled way. 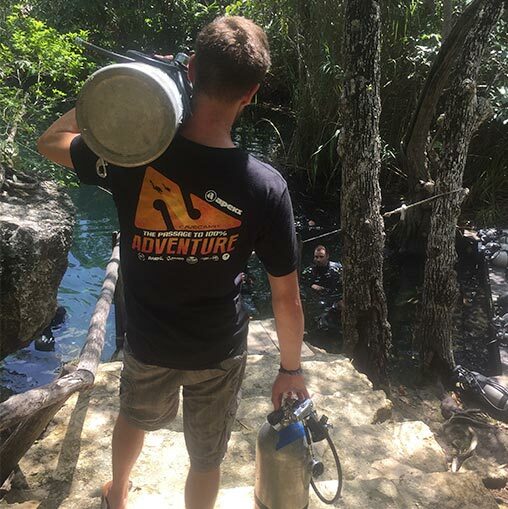 Advanced cave diver training represents the very pinnacle of skills development in the cave environment, allowing you to take your cave diving to the very limit of exploration. 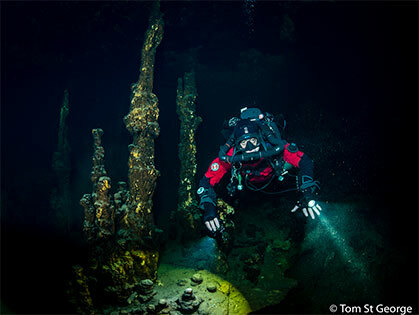 Advanced cave training covers a diverse range of disciplines but the most popular include advanced sidemount, rebreather, multiple stage, cave survey and the use of diver propulsion vehicles. If there’s a particular advanced cave module that you’re interested in, contact us and we can put you in touch with a Cave Camp instructor who can help! 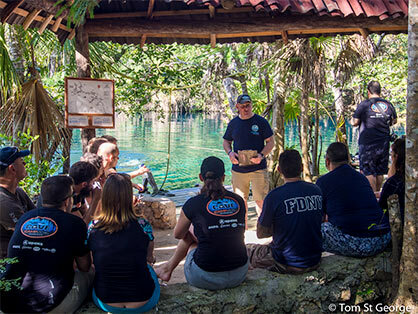 Cave Camp offers a packed schedule of workshops covering a diverse range of dive diving related subjects – from cave survey and line marking to cave photography and more! We also offer attendees the opportunity to ‘try dive’ some cool gear – from closed circuit rebreathers to dive scooters. The rescue workshop on the last day is always popular, and culminates in cave campers participating in a realistic cave rescue scenario. 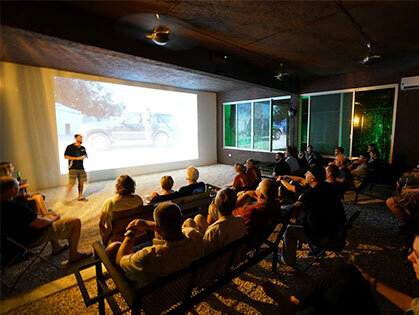 Enjoy a packed schedule of fascinating talks delivered by some of the biggest names in cave diving exploration. What’s it like to be the very first diver to explore a virgin cave system and how do you go about mapping such a system? These questions and more will be answered at Cave Camp. We pride ourselves in keeping everything very informal so, post talk, there will be plenty of opportunities to enjoy a beer and chat further with our speakers. 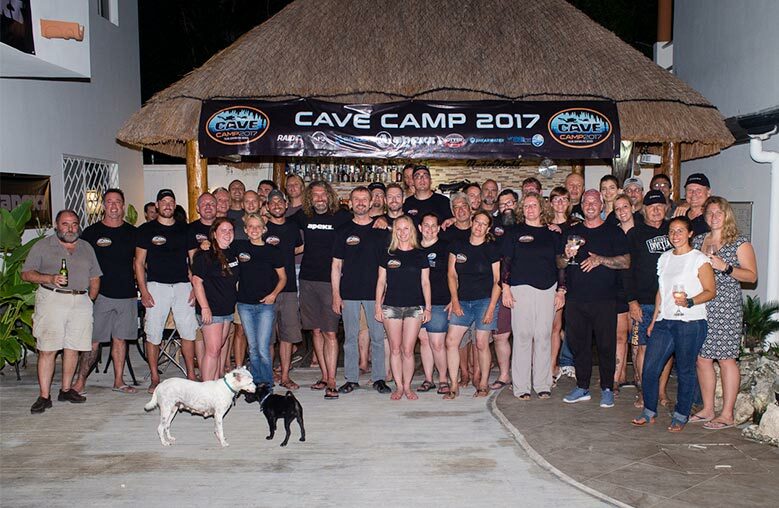 Cave Camp isn’t just a great place to further your cave diving ambitions – it’s also a great place to meet and network with likeminded divers. Whatever your level of experience, you’ll get to meet, chat and socialise with divers who share your passion for cave diving and discovery. Why not mix and mingle with fellow divers, share a few diving stories and, who knows, maybe make plans for further cave adventures together? 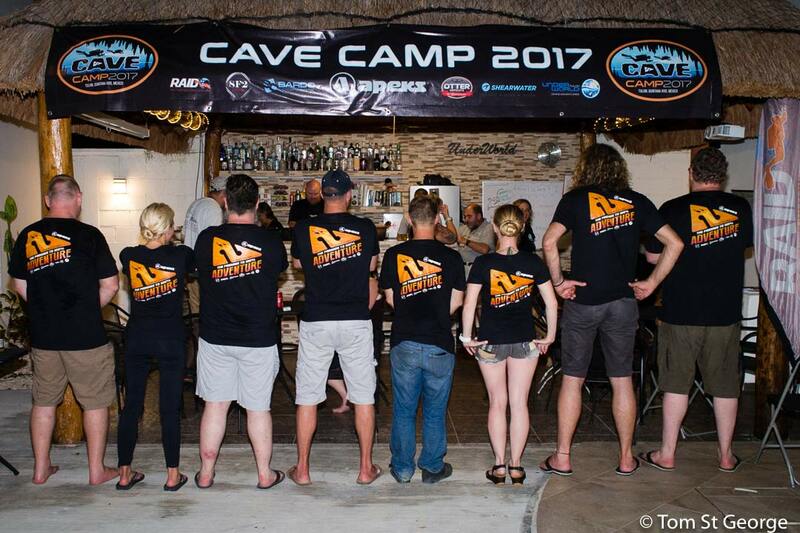 Every cave camper receives a great goody bag full of useful cave diving items and stylish apparel. 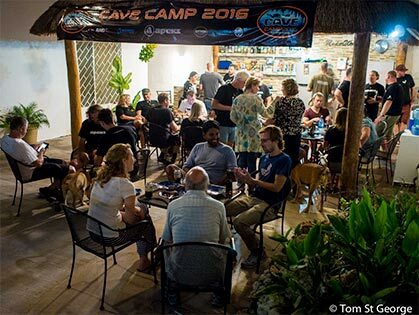 Thanks to our generous sponsors and other diving industry friends, the goody bag at Cave Camp 2016 and 2017 was worth over $300. 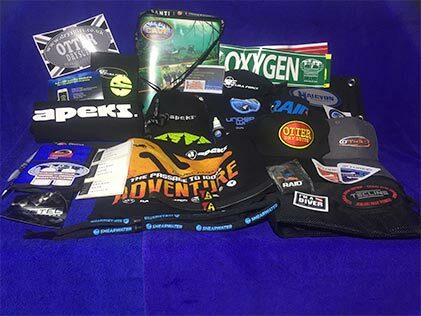 There were some amazing prizes in the draw, which was a new feature in Cave Camp 2017. Unsurprisingly, it was very popular and will be returning every year! 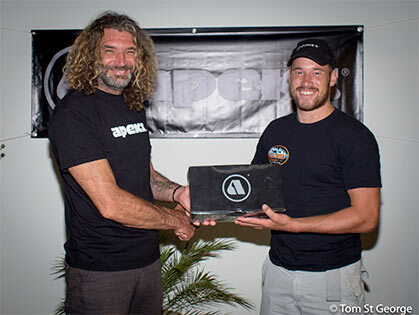 Amongst the great prizes were regulators from Apeks, a drysuit from Otter, Perdix AI Computer from Shearwater, Undergarments from SF2, an online cave course from RAID, Sidemount harness from Blue Orb, gear bags from Fourth Element and a powerful strobe from Narked@90.